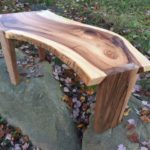 Accent table: 40 inches long, 20 inches wide, 18 inches tall. 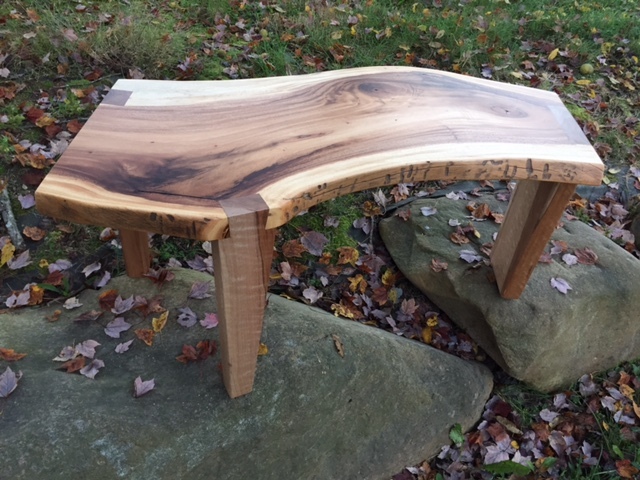 Three single dovetail English Walnut legs hold up this very figured dark center of a sycamore tree. 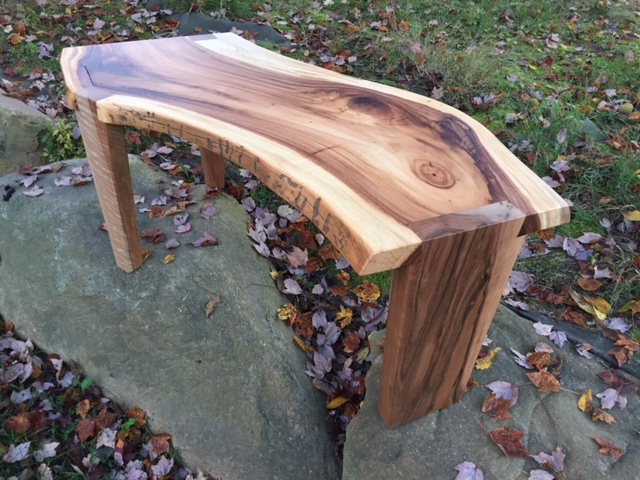 Ideal as a coffee table / centerpiece to an environment that need a touch of live edge rustic character.